Shana Won, Certified Financial Planner, has been in the business of helping her clients achieve their financial goals for over 20 years. At ISAAC’s 5th Symposium, Shana will be sharing her wisdom and practical tools during our “Healing of Finances” session. How often have you been angry over money? How often have you felt shamed by money? How often have you felt so happy over money? How often do you covet other’s good fortune? Have you ever been paralyzed by fear of not having enough money? At Shana’s workshop, she’ll open her financial tool box and share methods to help manage money effectively and dispassionately. Specific techniques will be offered that can be applied to any financial situation to relieve daily pressures. Shana Won is a Certified Financial Planner with Shuster Financial Group. Certified in Retirement Planning by the Wharton School, Shana also holds 2 bachelor’s degrees from UCLA. Actively involved in community and professional organizations, Shana is a member of the Women’s Leadership Council, the Million Dollar Roundtable, the IAFP, and is the Investment Committee Chair for the International Institute of Los Angeles. 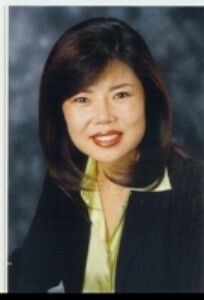 She sits on ISAAC’s Board of Directors as our Treasurer. For more information, please see shanawon.com. ISAAC’s 5th Symposium will feature Marriage and Family Therapy professor Hee-Sun Cheon and her interactive “sculpting” presentation. The sculpting exercise utilizes members of small groups as the “material” for sculpting expressions of collective and individual experience. This unique process integrates our minds, hearts and bodies in a shared encounter. In this practice of taking turns as teller, the group begins to develop collective images that include “any collective themes, images, ideas or values that stand out or seem to capture the essence or common experiences of the groups’ healing journey.” The process evolves into a “live sculpture” that moves and shifts into new images. Sculpting is a popular intervention used by family therapists as well as many therapists in other fields. Hee-Sun’s work in particular draws mainly from drama therapy. Professor Cheon’s session will be the focus of the 5th Symposium’s afternoon session: The Healing of Memories. Hee-Sun Cheon is a registered drama therapist and licensed Marriage and Family Therapist in WA. As a faculty member in the Masters’ program of Marriage and Family Therapy at Seattle Pacific University, Seattle, WA. Hee-Sun specializes in couples therapy, particularly in Emotionally Focused Therapy, supervision and training in MFT, mental health disparity issues for Asian Americans, and applications of drama therapy in the field of family therapy. A response to Miyoung Yoon Hammer’s “Psychological Homelessness: Healing Intergenerational Wounds” and Hsu Huan-Zung’s “In Karmic Tones.” Dr. Yoon Hammer’s article can be found in SANACS Journal #4. Although I grew up in one of the Asian ethnoburbs of the San Gabriel Valley in LA, I attended a small, predominantly white college. There I experienced up-close systemic and institutional racism, alive and well even in an organization full of kind, well-meaning people. And as much of a bubble as the college is, it’s also in many ways a microcosm of wider American society. Thus since graduating from said college, my eyes have been shaped to identify the pervasiveness and effects of such systemic racism. I never actually acted on my urge to scream at those in my hometown, and admittedly I knew not everybody’s story. But nonetheless, I felt a little like one returning to the cave in Plato’s allegory. My family history is one of trauma. My maternal grandfather fled mainland China for Taiwan in 1949, but since he was not a Kuomintang member, he wasn’t taken care of by the KMT government as many other mainlanders in Taiwan (外省人) were. Most members of his family did not make it out of mainland China, and some, including his father, were imprisoned and tortured to death by the Communist government. Meanwhile my maternal grandmother, a benshengren (本省人 – Han people who were already in Taiwan prior to 1949), grew up with an abusive, alcoholic, and often absent father, and without her mother, who had passed away when my grandmother was quite young. These stories were relayed to me at a young age. My immigrant mother made sure I knew where I came from, transmitting not only Chinese and Taiwanese history, culture, and language, but also our family history, including the sordid details. My family is certainly not alone in having a traumatic history, but I found out that many of my peers were not told their stories of family trauma until they were much older, if at all. And they seemed to do just fine, or even better, without knowing. Regarding the healing of intergenerational memories, Dr. Miyoung Yoon Hammer wants her children to “know who they are and where they come from… but… not be weighed down by the darkness of the painful memories that threaten to become their intergenerational family legacies” (SANACS 4, 73). Many times I feel paralyzed by my awareness of systemic racial injustice. But for whatever reason, my awareness of my family history has not had the same debilitating effect. I’m sure being here in the US and more than a step removed has something to do with it, whereas racial injustice is a close, everyday reality in America. The spatial distance from the family history has been beneficial in that I am deeply aware of it, but not formed so directly by the negative effects of it. The awareness of the stories has cultivated greater empathy for why my maternal grandparents live in fear and have tribalist tendencies, but I’ve avoided being negatively shaped by and prisoner to the effects of their story. I am neither ignorant of nor merely reactionary to their story, but rather there is a knowing accompanied by a sort of purposeful and dialectical forgetting. I’m still trying to figure out how to apply that process to the trauma of being a person of color in a white supremacist society. But spending four months recently in Taipei, Taiwan has helped. In Taiwan, people no doubt have an awareness of being Taiwanese, but because the fabric of society is different, there is not nearly as much identity policing as in the States. As a Taiwanese American, I was subject to a little bit of the policing (you’re not acting Taiwanese enough), but also felt a sense of belonging, and was granted a respite from many of the specific issues I deal with in America. And I’ve come back as less of a reaction to the white supremacist structure, but no less aware of it. Maybe there is a time to disengage, to no longer be in relationship, to “take a break.” And then maybe there is a time to come back to it. We need to interact with our legacies. In order to converse and share, as Pete suggests, we need to have material to share and converse on. But we can also, where possible, take control of our legacies and actively write the next chapters, maybe even changing the story arc. And that might require some purposeful forgetting. There’s a difference between ignorance, never knowing in the first place, and purposefully forgetting, moving on. Sometimes I still want to scream at my Asian American peers in the SGV, and other times I wonder if it’s better that (what I perceive to be) their blissful ethnobubbletea existence shouldn’t be shattered. And sometimes I wonder whether learning about my family trauma at such a young age was more helpful or harmful. When the Zimmerman verdict was declared, I ceased to wonder. This is why we need to know, because we East Asian Americans may have escaped some of the more obvious effects of injustice and trauma for now, but it sure as hell is affecting others. Felix Huang is a contributing writer for Dime Magazine, a basketball lifestyle magazine. Check out his articles here, as well as his blog here. 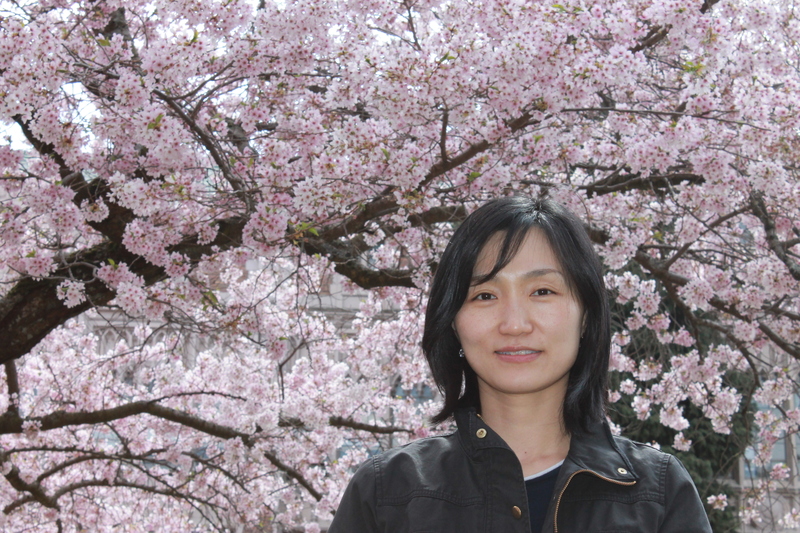 Miyoung Yoon Hammer’s article, “Psychological Homelessness” can be found in SANACS Journal 4, 2012-2013. Order your copy HERE. 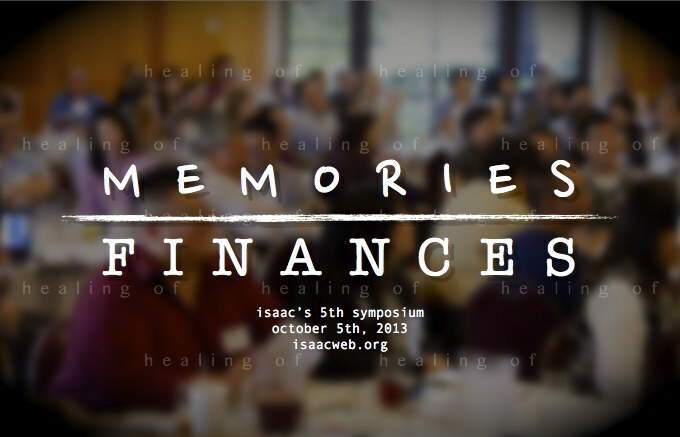 The issue of “Healing of Memories” will comprise the afternoon session of ISAAC’s 5th Symposium, which will be held on October 5th at Evergreen Baptist Church SGV. As a Chinese-American, I’ve grown up in a culture that values “saving face” and rewards perfection and success. I’ve seen this play out not only in my academic/professional life, but in my ministry and in my personal relationships. One thing that I’ve grown to embrace more is a willingness to fail. Or perhaps it’s not the willingness. It’s the acceptance that I’ve failed. Many times. And I continue to fail. 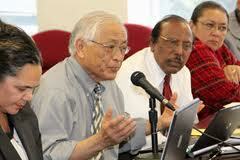 Bishop Roy I. Sano will be presented with the ISAAC Legacy Award at ISAAC’s 5th Symposium on October 5th. The Legacy Award honors pioneers and leaders from the Asian American Christian community. Past recipients include Rev. Dr. Hoover Wong and Eleanor Huang, LCSW. Bishop Sano is being recognized as an invaluable and long standing leader in the community. His CV includes degrees from UCLA, Union, GTU and Claremont Graduate School. Ordained in 1957, Bishop Sano served the United Methodist Church on the U.M. General Board of Global Ministries, the U.M. General Board of Church and Society and the General Commission on Christian Unity and Interreligious Concerns. Perhaps more importantly, Bishop Sano carries with him the deep and compelling wisdom that only experience and reflection can cultivate. As a survivor of FDR’s Executive Order 9066, Sano — along with 110,000 other Japanese Americans — was forced to relocate into internment camps after the Japanese attack on Pearl Harbor. These early experiences have shaped Bishop Sano’s conviction for both grace and justice. Speaking on his call to the ministry, the Bishop describes his decision “to work for this island of acceptance in this turbulent ocean of hate.” It is his lasting impact in this work that ISAAC recognizes and honors with the 2013 Legacy Award.